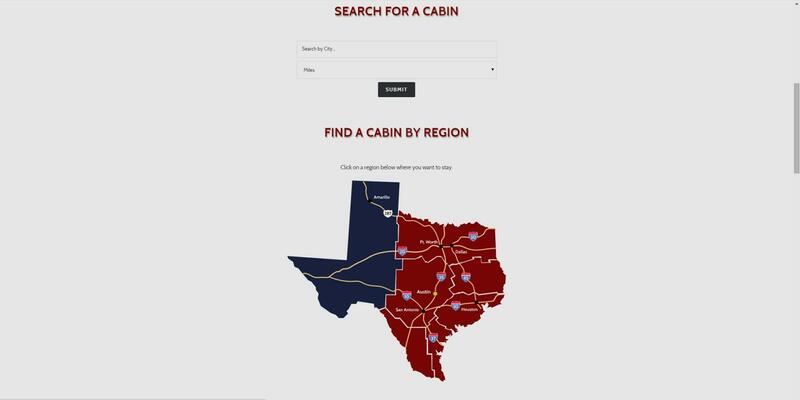 TexasCabinRentals.net came to us wanting to go through a redesign of their website. 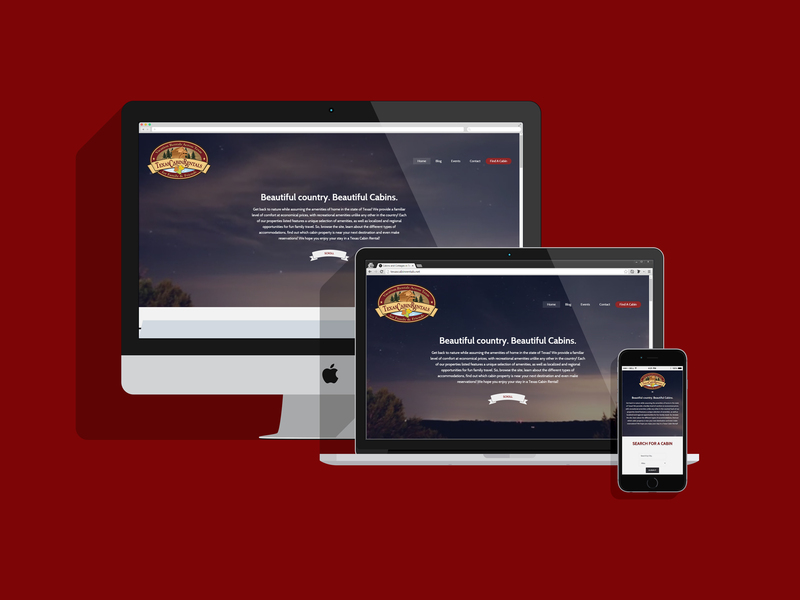 We redesigned the site in WordPress and of course it’s a Responsive Web Design (RWD) site. 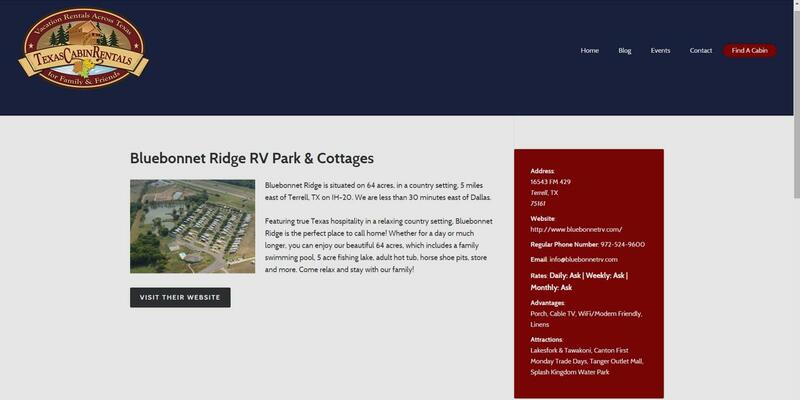 Texas Cabin Rentals is an associated service of the Texas Association of Campground Owners. It’s mission is to help promote and grow one of the fastest growing segments of the camping industry. 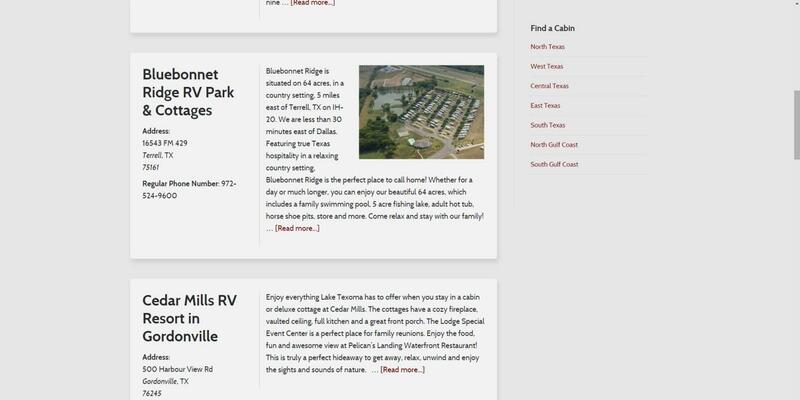 TexasCabinRentals.net has always been a great resource for finding cabins thoughout Texas during a vacation. With it’s new redesign, it’s even easier to use the site quickly and efficiently, and know that you’ve got your vacation set. 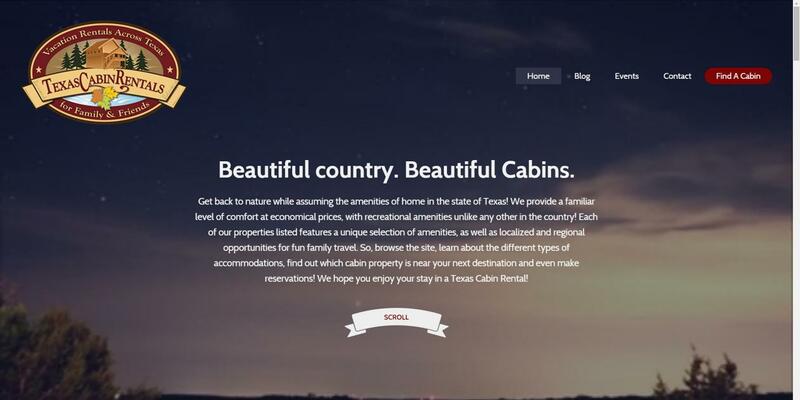 We enjoyed working with the organization behind Texas Cabin Rentals, and are looking forward to our next project that we have scheduled with them.